I have an old wheelbarrow upturned in the garden with flowers planted to look like they “spilled” out. Another idea is to set up a vintage iron bedframe in the garden with the side rails level with the ground. Filled with flowers, it literally becomes a flower “bed”. Long chicken feeders or hollowed out logs make effective border planters. 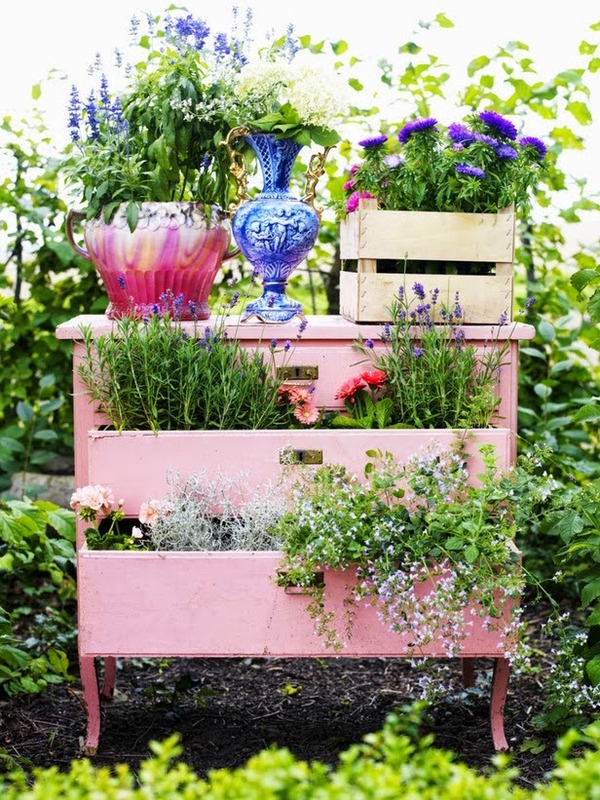 For an upright, layered planter, paint an old dresser a bright color, set it outside, and plant flowers in the opened drawers.